Liela Marie Fuller is an author, poet, and entrepreneur. She is a born again Christian and 15 years ago Liela left religion and developed a personal relationship with Jesus Christ. Her relationship with the Lord Jesus Christ has elevated her Christian walk to a height she could have never imagined. Liela’s latest offering, Love Letters of a Worshipper, is a reflection of the bonds created by God through communion in His Word, praying, worshipping and of course, writing. Love Letters of a Worshipper takes you deep into Liela’s heart of worship and adoration for the Lord. 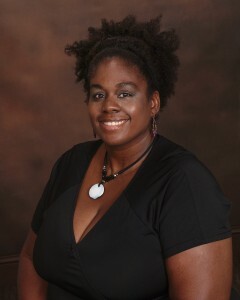 Liela is also the owner and founder of Jadora’s Child Publishing and Heavenly Help Computer Solutions. Liela loves to give back to the community and is in the process of creating a foundation to help children in impoverished cities. My writing inspiration comes from various places, including journaling, music, and prayer time. I am also inspired to write in some unusual places – I have found myself writing in the car at stop lights because a long drive with good music in the background is often the best environment for me to write. I also get inspired with new ideas in the bathroom, in dreams, and at random points throughout the day. I often carry a notebook in my purse and keep one beside my bed, because I never know when an idea will come to mind. I can’t tell you how often I’ve found myself in a corner jotting down notes for a new poem or a new book, it’s great but it does tend to get me left behind if I’m with people. Depending on what I am writing, my writing process is different. When I am writing novels or longer non-fiction, I tend to use an outline to keep me on track. If I am writing poetry or worship prose, I typically just write when I am in the flow and I tend to not stop to think too hard about what I am writing – I just write and then I go back to edit and make changes. While I have not published my fiction book yet, it is in the works and when I am writing I don’t talk to my characters, but I definitely listen to the dialogue to see if the character would say what I am writing; while they don’t talk to me my characters definitely have their own personalities which make their dialogue interesting. The one question I get from other writers is how to begin and the answer is simple – just start. The beauty of writing is that you can begin wherever you want to and if you want to change that later, you can. The challenge you must overcome is to find the time, space, and energy to write, once you do, don’t stop and don’t give up. You may find parts of what you’re writing difficult, but if you keep writing you will work through it. Also, find what fosters your creativity – for me its music but for you it may be something different, find what it is and be sure to use it to help you be creative. My first book was written years before I actually published it. One of my closest friends was a published author and when he read, Life’s Reflection, he looked at me with wonderment and said, “Why are you not published, Liela?” I didn’t think it was good enough, but as I read it again, I realized how much the poems meant to me and how good they were. I sent the book to my mentor, she asked the same thing my friend did, and then she proceeded to help me self-publish. She didn’t stop pushing me until the book was complete and on Amazon. I would advise other writers to take a good look at what you’ve written and believe in it. If you think, it’s good, show a trusted friend and then take the needed steps to publish it. Don’t let people discourage you and know that while not everyone will buy your book, you can and will create an audience for your work; you just have to work at it. Be encouraged and get that book to market! I believe that more and more small press publishers will come on the scene and bring with them great authors and great books that major publishers may have missed. I also think that self-publishing will begin to level off because readers want quality work, not just something to read. With all of the new books coming out daily, new writers should take note produce quality writing and master their market so that they too can have their piece of the publishing pie. What genres do you write? : I write fiction, non-fiction, poetry, and worship prose. I just love to write.